Full Name: Edward Galen Givens Jr.
1952, joined USAF taking flight training at the USAF Air Training Command. 1954, fighter pilot on duty in Japan. January 1956 to March 1958, flight instructor at the USAF Interceptor Weapons School. 1959, graduated from the USAF Experimental Flight Test Pilot school at Edwards AFB, California. Project Pilot at the Naval Air Station, Point Mogu, California. From November 1961 to September 1962, Assistant to the Commandant at the USAF Experimental Test Pilot School. 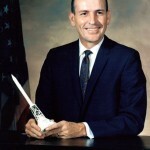 1963, graduated from the USAF Aerospace Research Pilot School, assigned to USAF office at the Manned Spacecraft Center in Houston until selected by NASA. 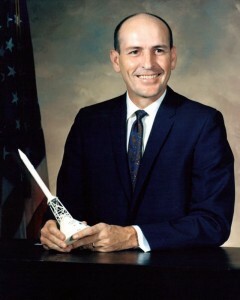 Was assigned as part of the Support Crew for the Apollo 7 mission but was killed when he lost control of his car on a highway outside of Houston, Texas.